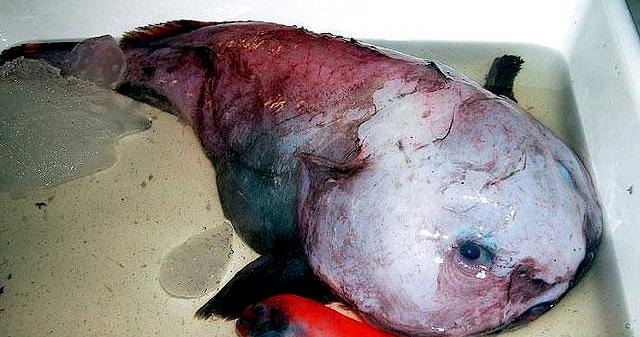 The Blobfish lives in the extreme depths of the sea off the coasts of Australia & Tasmania. 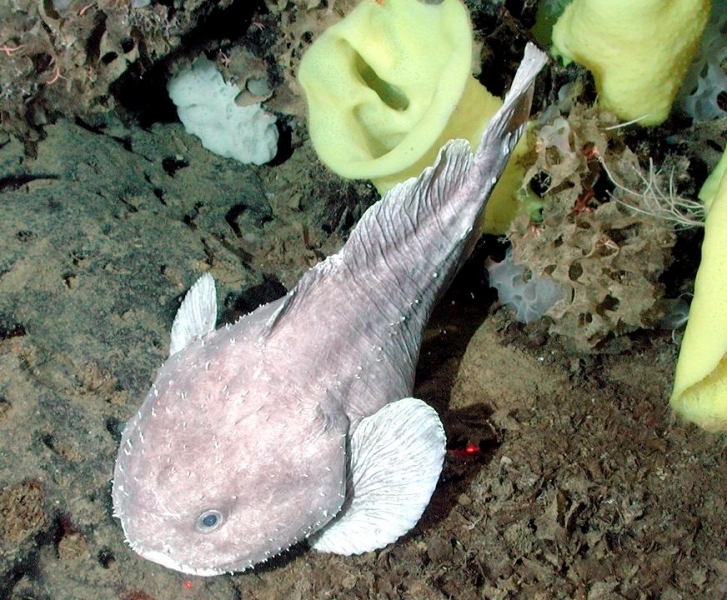 This saltwater fish may be the ugliest fish in the ocean. It looks like a mass of gelatin with wide lips and a large bulbous nose between 2 very tiny eyes and a constant expression of distaste. 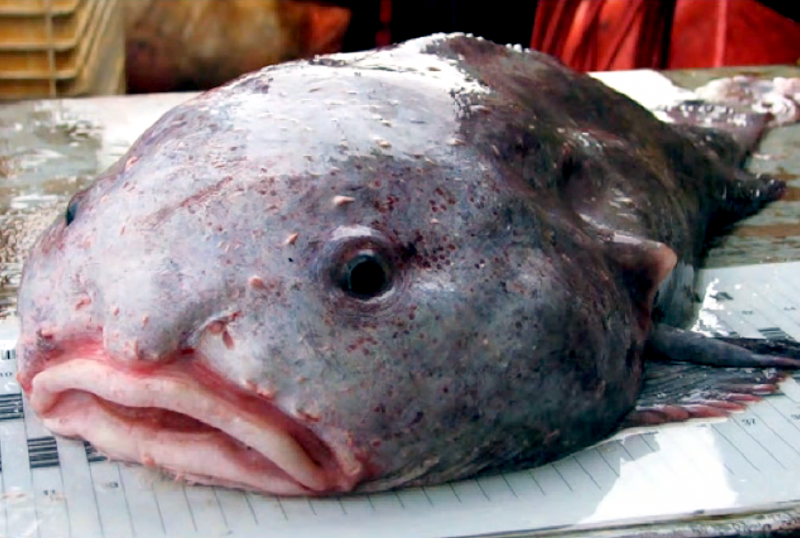 If you looked like the Blobfish, you too would be perpetually scowling. 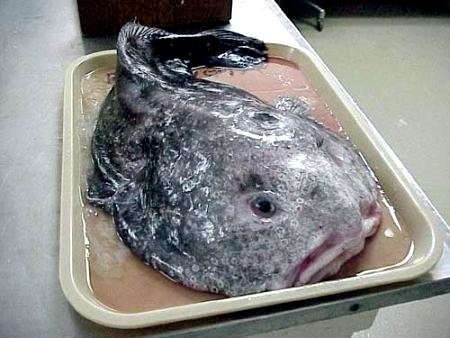 You will probably never see one in the gelatinous flesh because it lives at extreme depths of the ocean and is rarely seen by humans except for the local fishermen who catch them by trawling the sea bottom with nets. 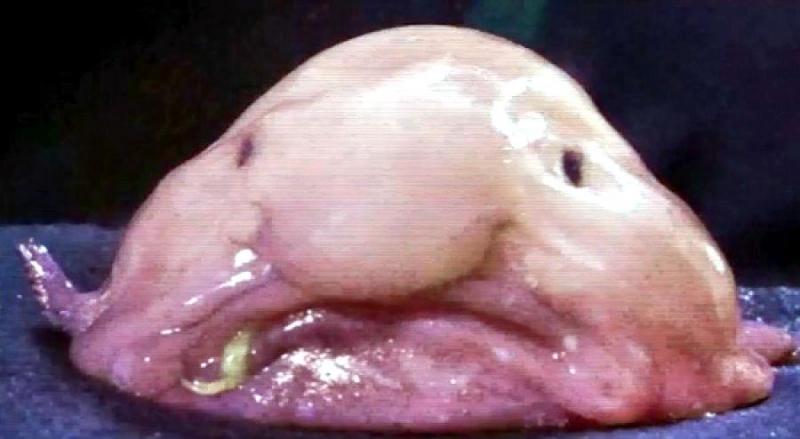 The Blobfish can withstand the high pressure (80 times higher than at sea level) because its body is jelly-like and has a density just less than water. 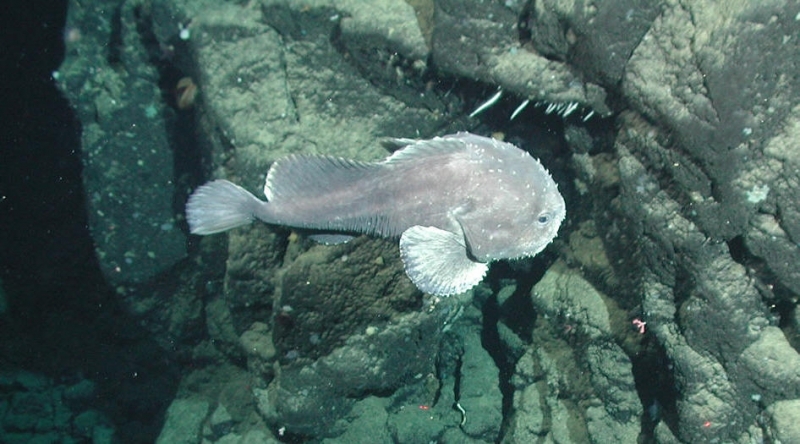 This means that the Blobfish can float just above the sea bottom using very little energy. 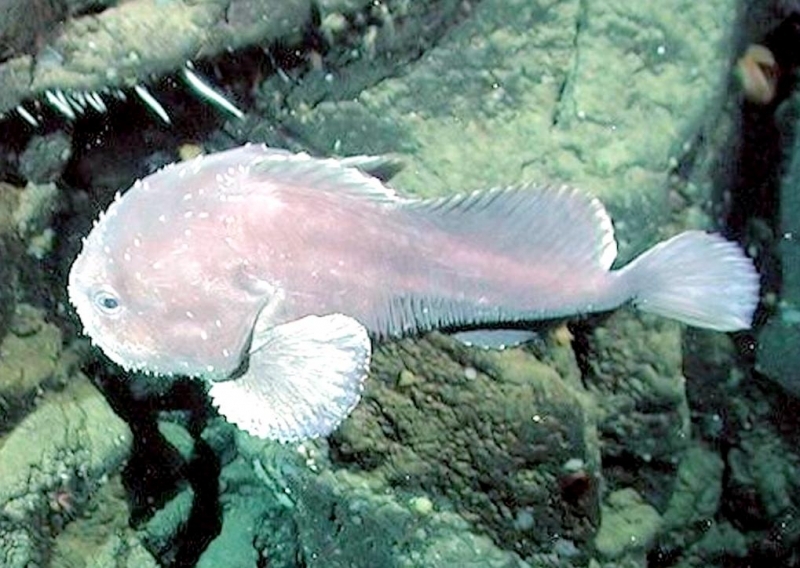 Because it is all gel, this fish has a density that is less than water. 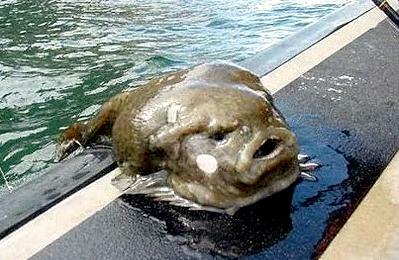 This lets it float above the floor of the sea without needing to swim. 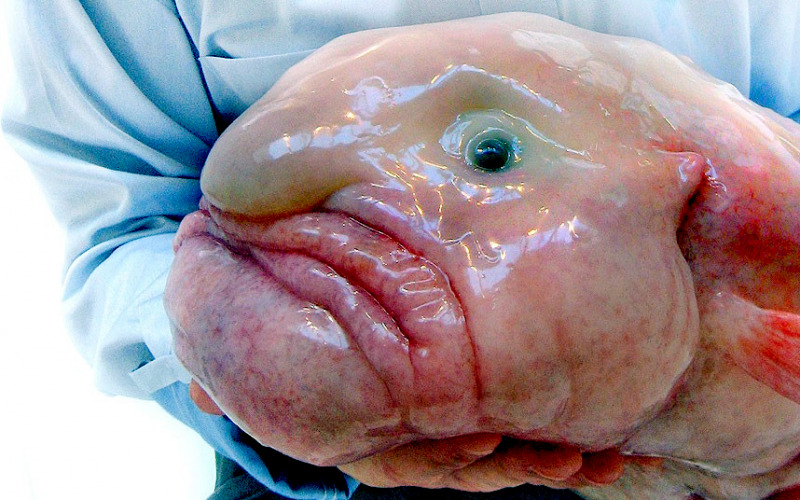 That’s good, because a Blobfish has no muscles at all. 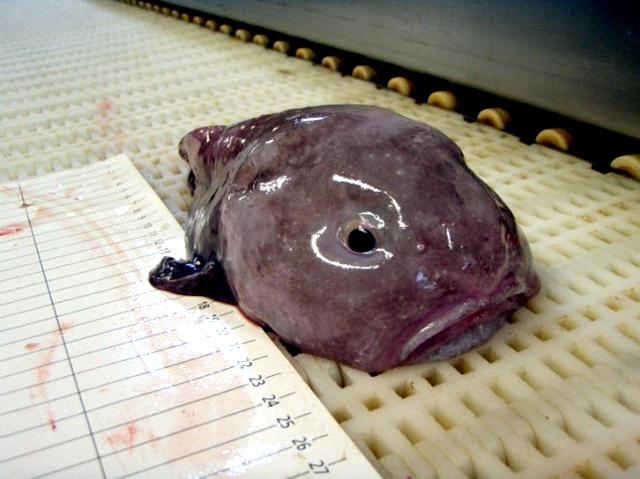 It looks like a big lump of jelly but it has a triangular face with an expression that is kind of like a scowl or frown. 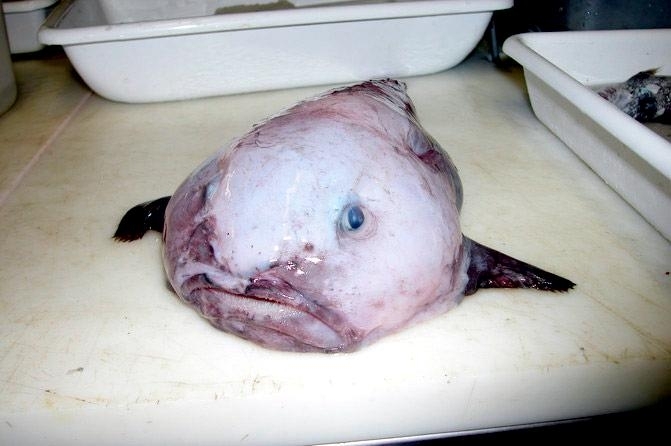 Blobfish were first described in 1978, very recently in terms of fish identification. 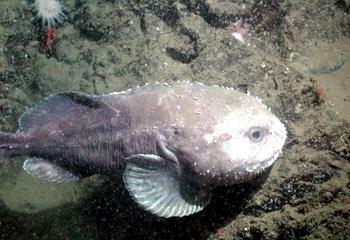 The first Blobfishes in reproduction were discovered in 2000 on the Gorda Escarpment off the California coast. 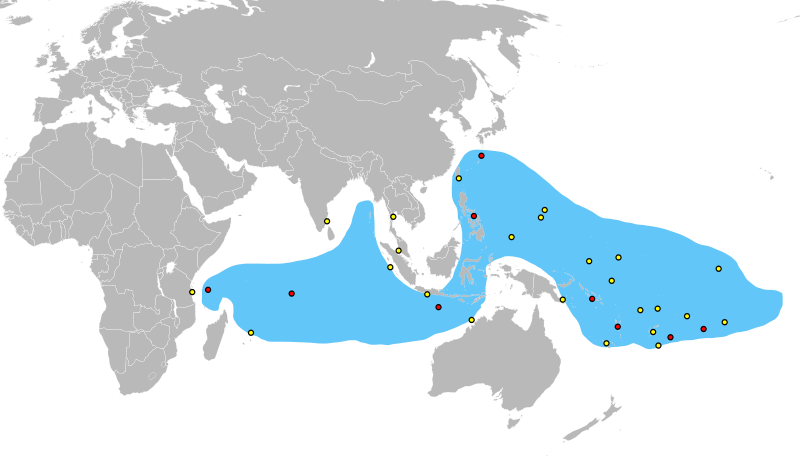 The fish were in an area where other species of fish & octopus were also breeding. 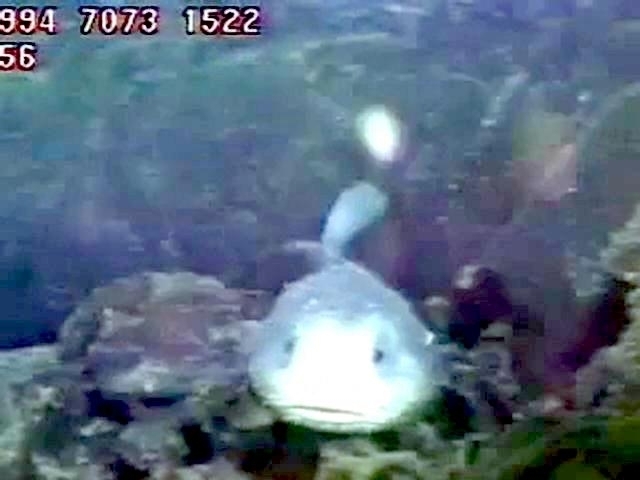 These fishes were watched at several different locations and levels by a remotely operated vehicle and have been studied every year since they were found. 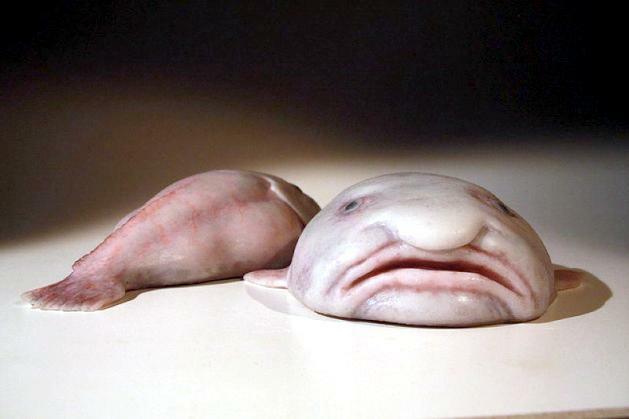 The female Blobfish lays thousands of eggs at once and unlike a lot of fish, the Blobfish will actually stay with her eggs, floating above as usual of in some cases literally sitting on the eggs. 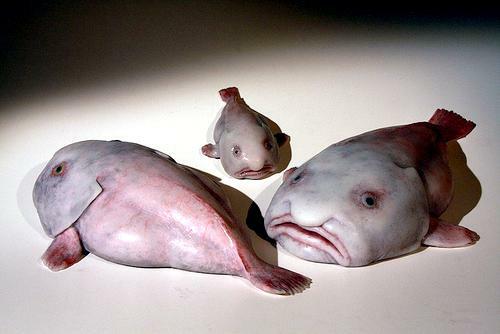 The Blobfish nesting habits are interesting as it’s not uncommon to find groups of Blobfish nesting together with one females eggs sometimes right next to another females. It’s not known whether this behavior is strategic or is just a result of their ‘lazy’ nature. 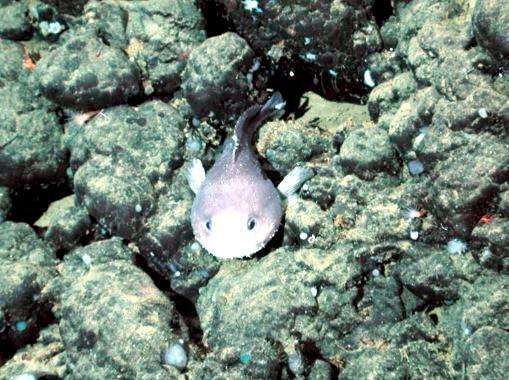 When first spotted, the Blobfish was overseeing nests that contained 9,000 to 108,000 pink-colored eggs. 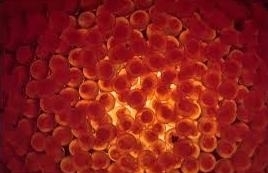 The nests all had brooding fish either sitting on their eggs or touching them. 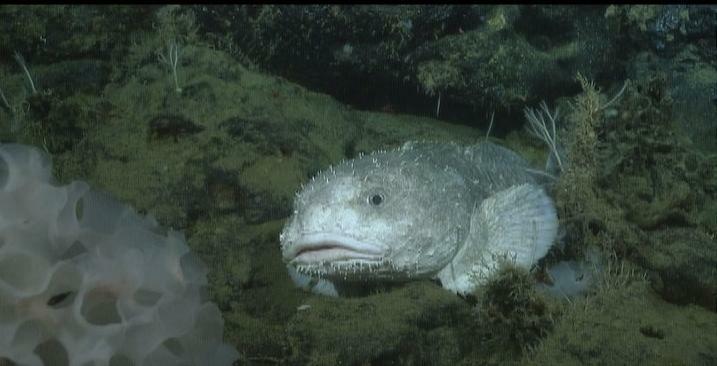 Other nest sites in rougher territory looked to be unattended but the eggs were completely clean, which was thought to mean that brooding fish either sat on the eggs or cleaned them frequently. 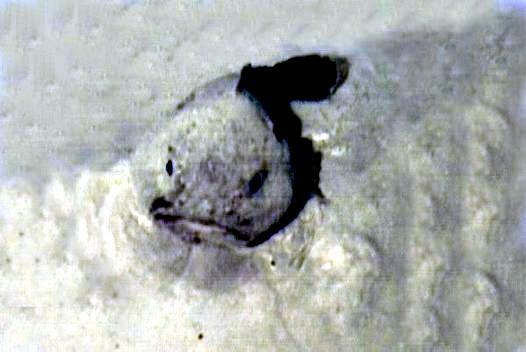 The dozens of Blobfish and their nests were quite close to one another. Eggs would be on neighboring rocks with sometimes only a meter in-between the families. 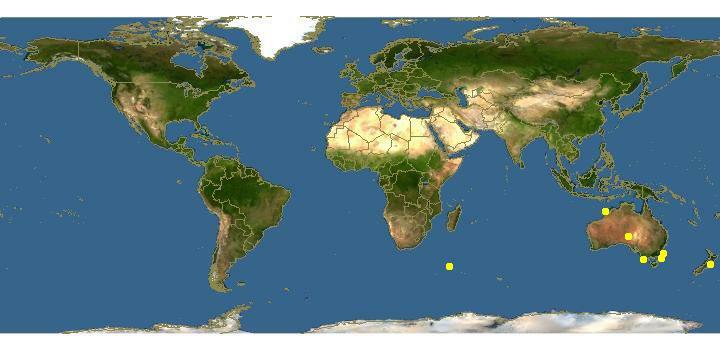 None of the fish whether with their eggs or not, showed any fear at all of the remote vehicle. Scientists are still trying to determine why such reproductive hot spots exist. 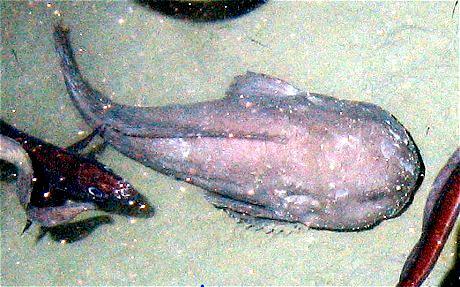 At present it is believed to have to do with cold seeps, which make the water in these regions warmer and supply a steady stream of food. 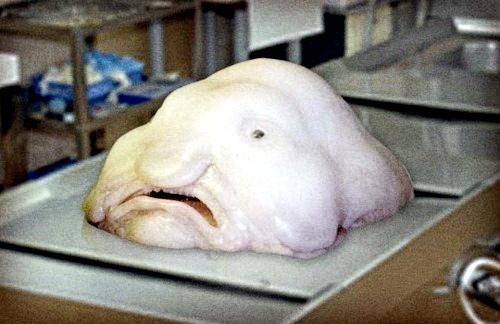 As the Blobfish is composed of a gelatinous substance, they actually have no muscles at all and they just float in the same spot most of the time waiting for their next meal. 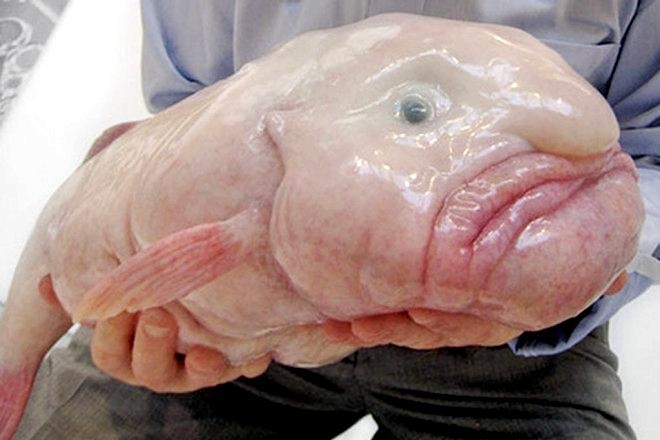 Scientific research has explained that the main diet of the Blobfish is that of sea urchins, crabs, crustaceans & mollusks. 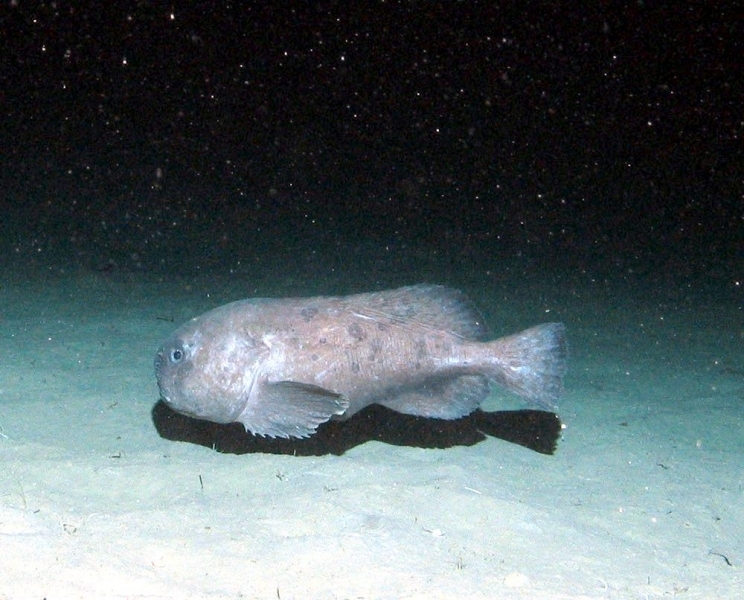 The Blobfish will literally float in place waiting for a meal to come by with little or no effort exerted in hunting prey, this leads to in-frequent meals which works fine for the Blobfish as sustenance isn’t needed in a large level. 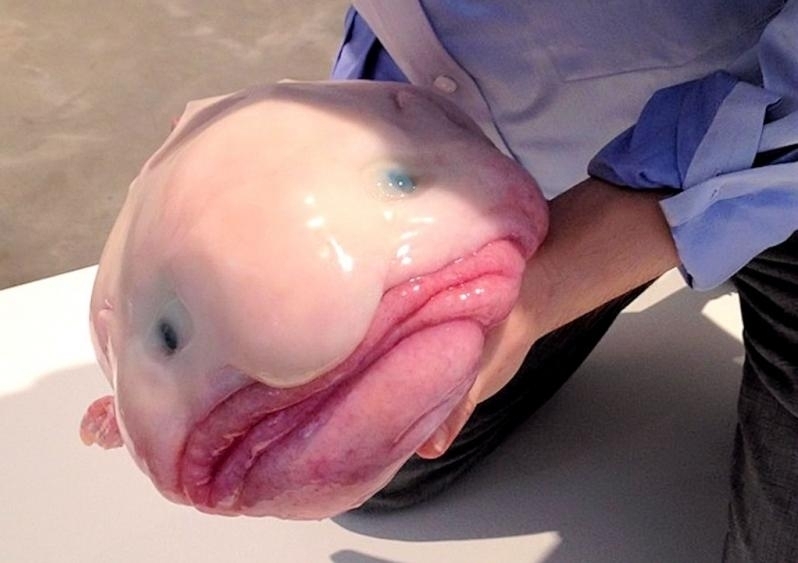 The Blobfish devotes almost all of its time to floating stationary and it is because of this behavior that the Blobfish has been branded ‘lazy’. 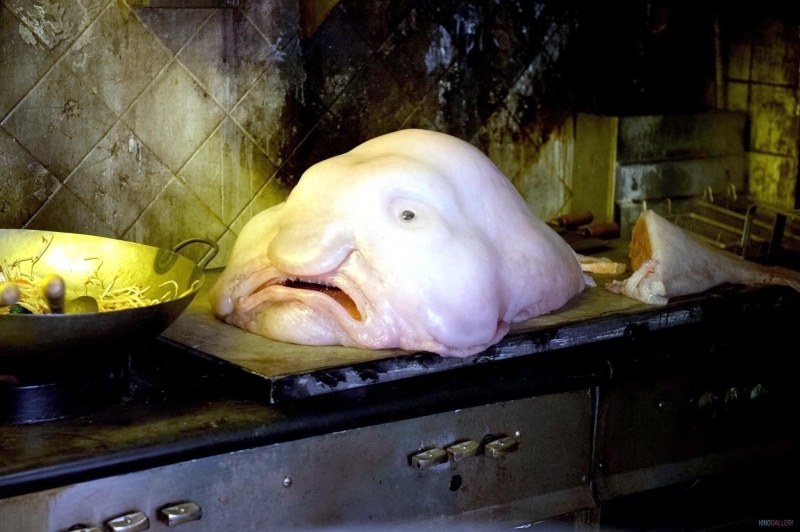 The Blobfish has a comical, almost human looking face however if taken out of water, the Blobfish will die after a short while and is gelatinous body will dry out and shrivel no longer resembling the typical way people think of Blobfish. 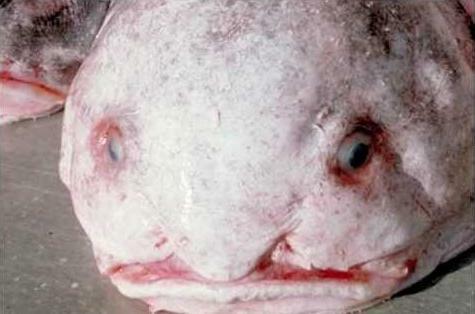 The survivability of Blobfish is being investigated as it is becoming to common an occurrence of fishermen catching Blobfish by mistake and severely lessening their chances of survival. 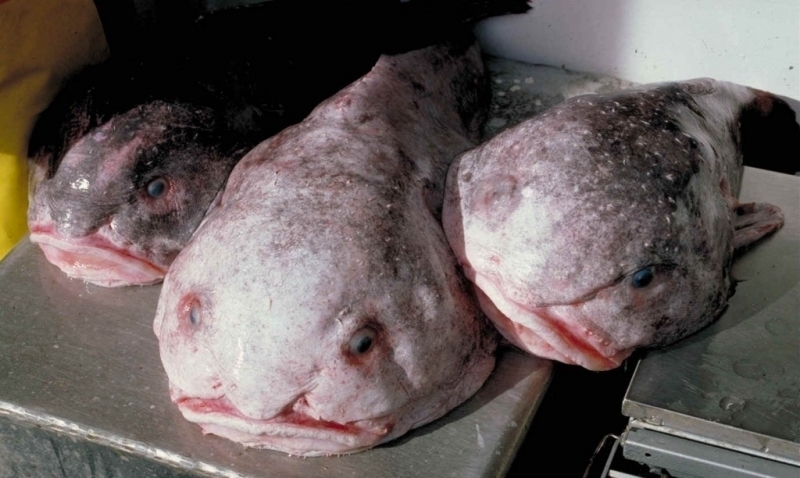 Australia & New Zealand are some of the most active trawling locations in the world and therefore, the Blobfish using these waters as its habitat, is sadly facing a rapid extinction. It is unknown exactly what this would mean for the oceans in which it dwells due to the fact that not much is known about the animal. 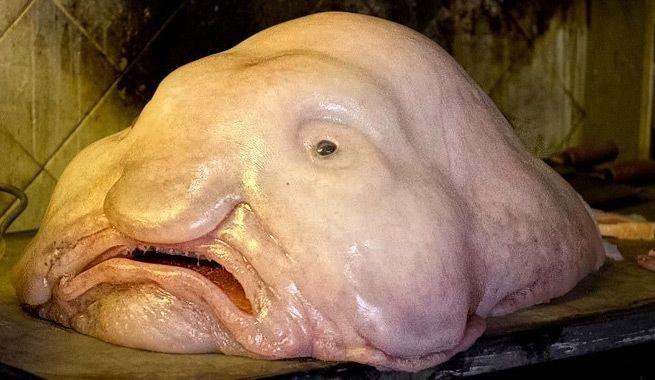 It likely feeds on edible matter & plant life, but if it is part of a food chain or another animal, then that animal could suffer following the extinction of the Blobfish. 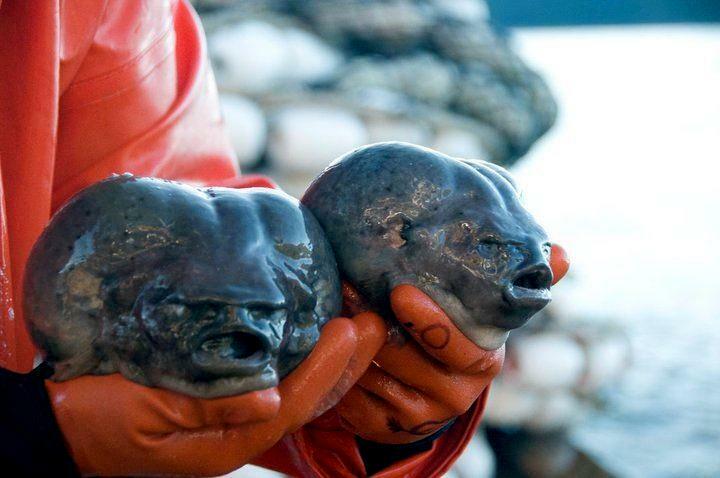 The only conservation effort that has been implemented to save the Blobfish is an attempted ban or halt on deep-sea trawling and fishing, but this has not yet came to pass. 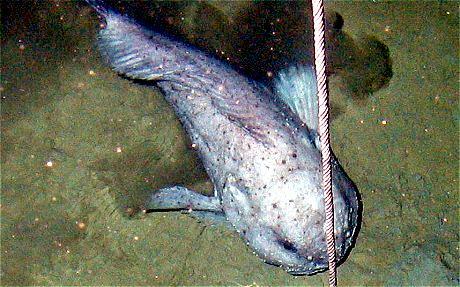 The last time the Blobfish was prominently sighted or reported was in 2006. 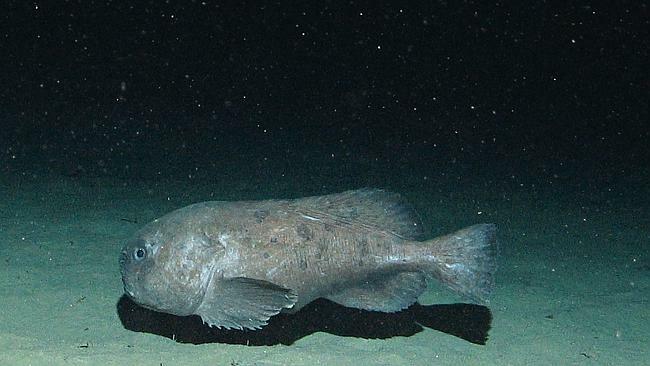 It is a potential risk that it could already be extinct or if it does still exist, its numbers are probably much smaller due to the large amount of deep-sea trawling that still plagues the waters in which the Blobfish inhabits.